Computers are endlessly flexible for music — but how do they function as actual, playable instruments? As computer software matures, finding a way to make these tools more fun to play is increasingly the aim. 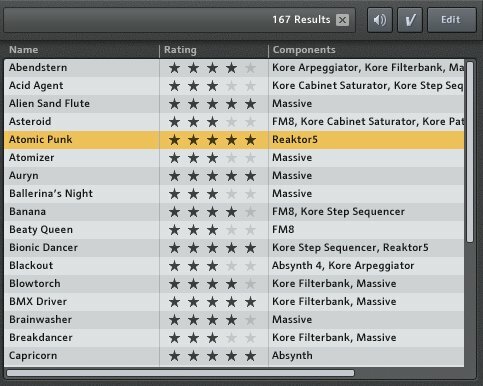 Native Instruments’ first crack at a “super instrument” with KORE 1 had some fans, but was a disappointment to many others (myself included, even as a fan of NI’s terrific instruments and effects and Reaktor platform). But a lot of us still believed in the potential of what it was doing. That’s why it’s really exciting for me to have caught a first glimpse of what the new KORE 2 looks like. In just about a year and a half, NI has radically changed the application. We expect to get the full version for review soon, but here’s a sneak peak. 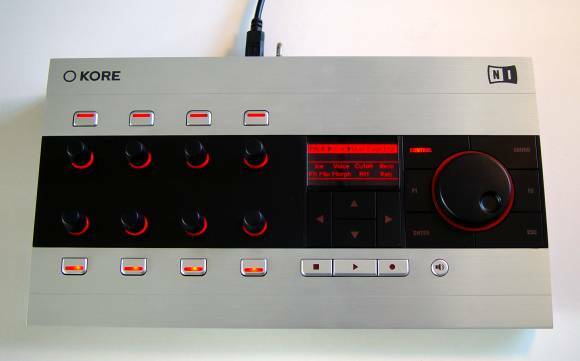 Native Instruments’ KORE showed plenty of promise for computer musicians when it was announced. 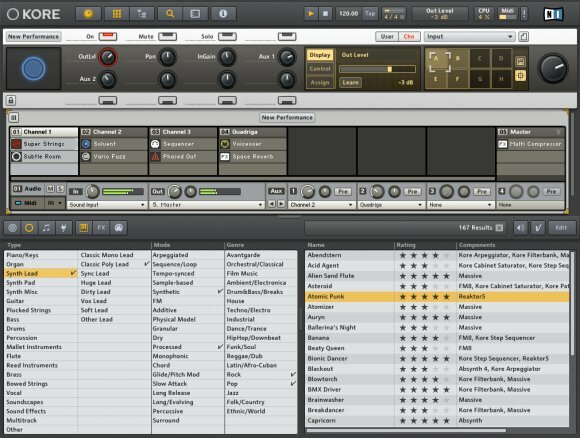 The idea was to create a “sound platform” or “super instrument” — a single piece of software that could bring together all your sound-making needs, organizing instrument and effects plug-ins and presets and allowing them to be easily combined and played live in the studio or onstage. This software was to be integrated with a hardware control surface for accurate, hands-on control of sound parameters and navigation of different sounds. The result: a computer-based workstation with endless flexibility. At least, that was the idea. But while a few power users embraced KORE 1, the first version clearly had some major kinks. Actual integration proved to be somewhat limited; just moving from sound to sound wasn’t as easy as it should be. The first couple of releases of the software was buggy, with some significant functionality missing or not working. And, most importantly, even once the bugs were ironed out, the KORE software itself was difficult to navigate, with confusing, multiple layers of control. Powerful tools can often be complex, but complex tools are not always the most powerful. Native Instruments says KORE 2 is a ground-up recode of the first KORE, with a new development team in place. It also involves a substantially redesigned hardware interface, minus the audio features but with some important improvements. It’s too early to judge the full outcome of these moves without more hands-on time, but we can at least show you what the results look like and some of the new features. You’ll notice from the overview that KORE has a much cleaner interface. The other good news is that the screen you see is the only screen you need; NI has wisely done away with the various confusing screens and functional layers previously needed to put together a KORE performance setup. A closer look reveals extensive streamlining of what KORE actually does; it does more than before but has less of an interface getting in your way. The boxes lettered A – H are the really fun part: the morphing function. You can now interpolate between any number of settings in your presets. NI accidentally discovered a really bizarre effect morphing a sequencer from Reaktor into nothing, which felt like dropping a sequencer into a wormhole; I’ll see if I can post some video and sound of that when I get a copy of KORE. Curiously, instead of using an X/Y pad, you use the encoders on the hardware to move between values. This will require some adjustment, but I imagine it could be very precise — X/Y morphing tends to be pretty coarse in practice. Note also the tap / tempo functions. You can use KORE as a host or your only running application if you want, as before. The middle portion of the screen is really a whole lot better than it was in the first KORE. You can still do extensive layers, splits, and channel setups, but even in our short demo, I could see it’s much, much clearer and easier to work with than before. The other new addition is MIDI plug-ins, including step sequencers, arpeggiators, and the like. That for me is getting into the real draw of using KORE, especially when combined with custom MIDI and audio processing in Reaktor. Even ignoring the rest of NI’s software suite, I can imagine some really cool combinations of KORE and Reaktor; you can bet I’ll be testing that part of this setup as much as possible. As before, a big part of KORE is making it easier to navigate presets from NI’s extensive sound library. A lot of this functionality is now integrated with NI’s other products; what KORE does is give you access to this meta-information from one place, and let you take that on the road. Easy sound navigation does seem largely geared for new users rather than sound designers. But it would be interesting to see if KORE makes it easier to organize your own sounds. 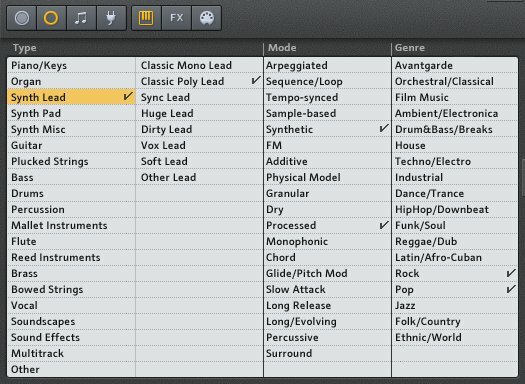 All the meta-data is customizable, so there’s no reason to use NI’s categorizations if they don’t make sense to you, and since KORE works with any plug-ins, you could organize sounds from your own instruments and effects, not just NI-branded ones. I didn’t really work with the first KORE enough to see if this made sense for sound designers, but I do plan to spend more time with it in KORE 2. Here are the actual presets. 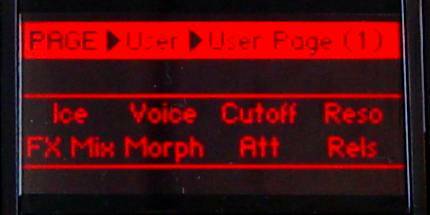 The important bit to recognize, though, is that when you see “Massive”, “Reaktor5”, etc., these now run off the included sound engines, so you don’t necessarily need to own Komplete to take advantage of everything. And you can see there are some nice effects — audio and MIDI — built right into KORE. The included granular audio effect in KORE sounds really fantastic; we got to fiddle with it a little bit. I had complained about the lack of in-the-box value in KORE, and it does seem to be something they’ve addressed with KORE 2. Needless to say, I’ll be picking apart each new effect once I’ve got it. From the top down, the KORE hardware interface looks the same as the first one, but it’s actually quite different. The most noticeable change is that the audio interface is gone; you’ll find 1/4″ jacks on the back, but they’re MIDI input pedals only. NI cited two reasons for the change. First, they argued their users weren’t making use of the audio interface. That I find interesting, as CDM readers here were specifically disappointed by the removal of audio. The second reason sounds more likely: transmitting lots of high-resolution control data from the hardware and audio, over USB 2.0, sometimes caused conflicts. We heard reports of that here, so it sounds like this may have been the right move, especially given so many people own decent mobile audio interfaces. One more gadget in my bag isn’t a deal killer for me, at least. Existing users: note that you do not have to upgrade to the new hardware if you don’t want to. See the upgrade policy below. Having felt the new interface, I will say it feels a lot more solid in terms of controls, but is also lighter and more compact. It would be nice to have integrated audio, but I suspect I may like the new design. NI also promises greater reliability in terms of the controls; we’ll have to see how that pans out when people have had these for some time. It’s tough to show here, but they’ve also done a lot of much-needed work on actual hardware integration. Auditioning sounds is much easier, navigation is simplified, and again, having feedback from the lights on actual encoder levels is terrific. As before, the controls are touch-sensitive, so just making contact with an encoder brings up related information on the LCD, which remains pretty cool. If NI can fix the bugs in the current release, make it easier to switch from one sound to another on the controller and in performance, and make hardware integration more flexible, Kore has the potential to be a very powerful tool indeed. These can lead to some very powerful performance setups, though having to deal with both levels can get confusing for simpler routing tasks: You can easily wind up with three conflicting key maps (at the Performance, Sound, and plug-in level), with only the Performance level shown in the Mapping tab. Sure enough, those layers have now been integrated into one editing window (there are still editing options within the plug-in, but that’s the nature of the beast, and if the editing tools work well in KORE you may not need to edit deeper than that). KORE should be just a few days from showing up in people’s hands, so I expect to have some quality time with the real thing soon. I’m particularly interested in integrating it with what I’m doing with Live 7 (currently in beta) and Reaktor 5 (still mind-numbingly deep). I’ve got plenty of questions of my own in terms of how it works. But what would you like to know about KORE? What would or wouldn’t make it worth integrating into your software music rig (and what do you use now)? Let us know in comments. KORE 2 Upgrade Information, which starts at US$59 depending on what NI kit you own.